October 26, 2017 2:05 pm. THE greatest horse on turf has inspired the greatest sign-up special in online gambling for the Cox Plate this weekend, and bookmakers everywhere are getting in on the action with a raft of Winx free bet bonuses. 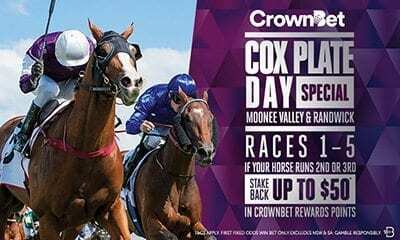 As Winx chases its 22nd win in a row and its third-straight Cox Plate victory, CrownBet is offering punters a $22 deposit that will reward punters with $220 in bonus bets. 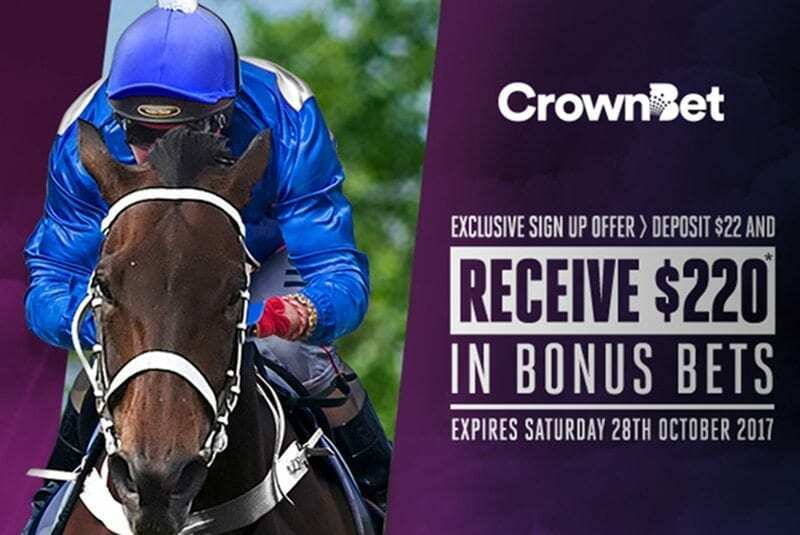 That’s right – sign up today at CrownBet.com.au – deposit $22 and you’ll get an extra $220 in bonus bets to cash in over a huge weekend of racing. And the bonuses don’t stop there. 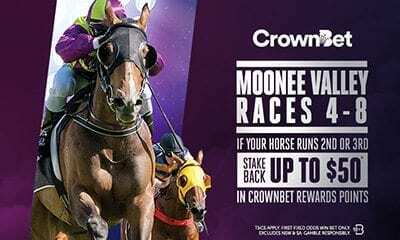 CrownBet also has betting specials for the big weekend at Moonee Valley on Friday night and Saturday afternoon. If you’re betting at Moonee Valley and Randwick on Saturday, you’re in for a treat. If you back a horse to win on fixed-odds in races 1-5 and your horse finishes second or third, you’ll your stake back in CrownBet Rewards Points, up to $50. A big weekend at Moonee Valley kicks off on Friday night with the Manikato Stakes and seven other quality races on the iconic Melbourne track. If you place a fixed-odds win bet on races 4-8 and your horse finishes second or third, you’ll get your stake back in CrownBet Reward points, up to $50. So, all up, from race 4 on Friday night, all the way through to race 5 on Saturday, you can’t lose if your horse finishes a place. That’s a pretty good weekend of specials if you ask us.